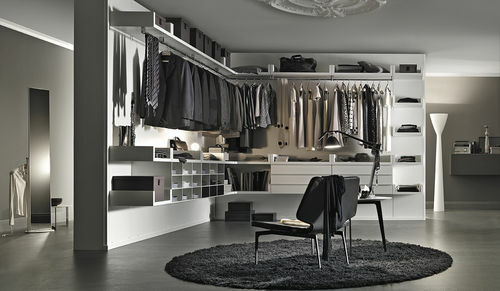 Organising space with elegance and efficiency, this is Novenove Walk-in Closet by Officinadesign Lema. 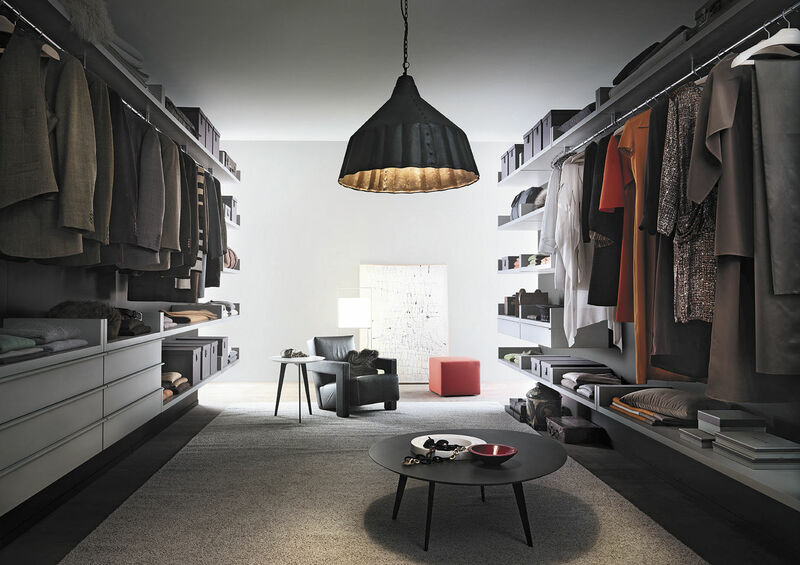 The modules, available in a wide range of choices, offer the chance to create custom environments. 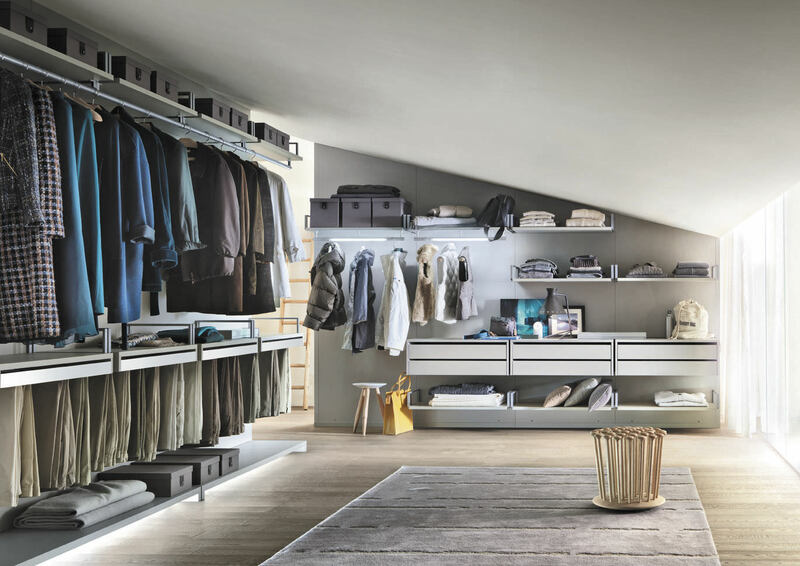 The wall panels, in different finishes, are available in 3 heights and 3 standard widths, with the possibility of cutting to size, even inclined, to ensure maximum flexibility to the rest of the system. 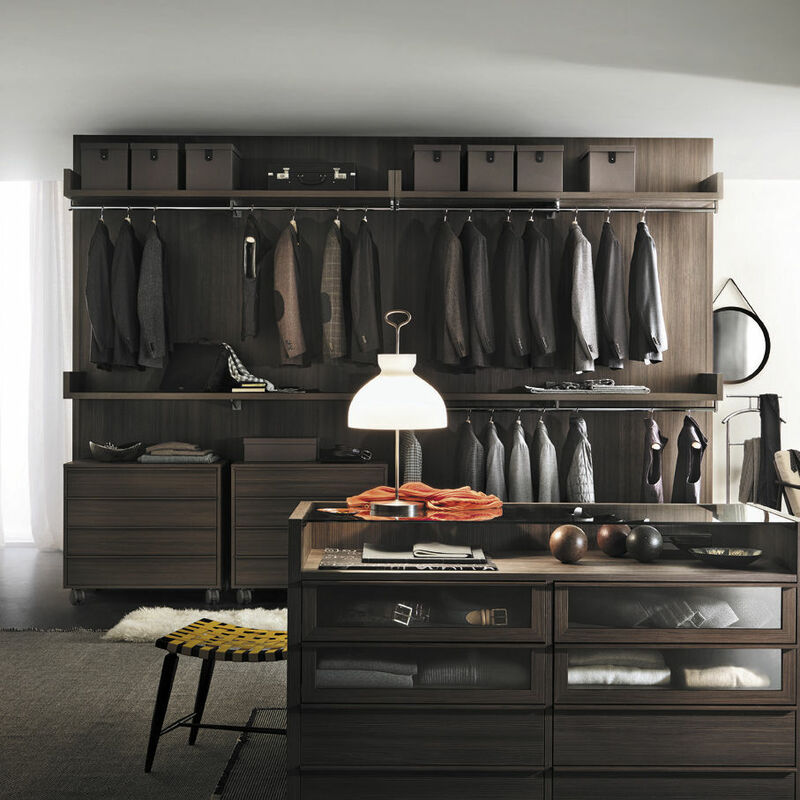 The wall panels can also be used in conjunction with the Armadio al Centimetro made-to-measure wardrobe and are outfitted with a vast selection of accessories for hanging and storage. 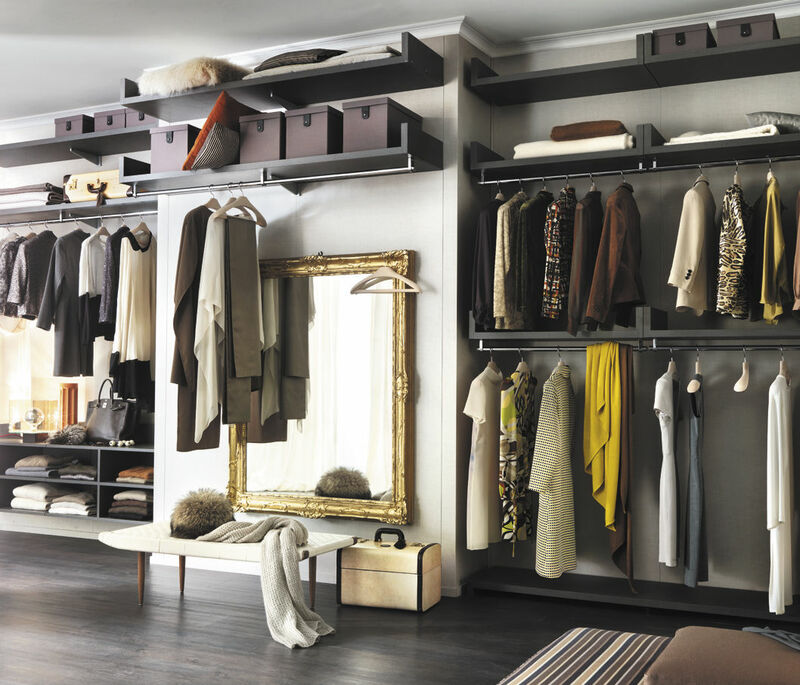 The shelves have two types of coupling in wood or cast aluminium.